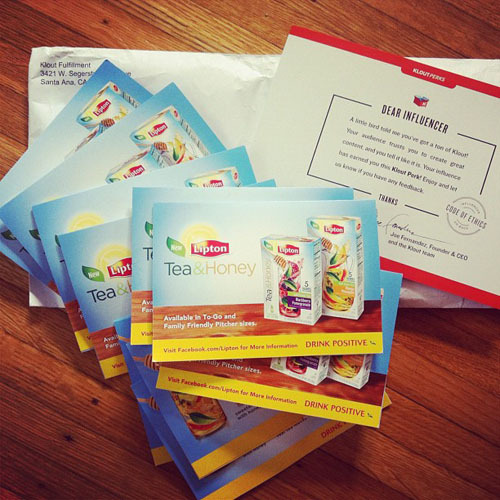 A few weeks ago I got a Klout Perk shipment of Lipton Tea & Honey mix. To be honest, I don't care for artificial sweetener... even diet sodas taste odd to me, so this wasn't my favorite. If you do like diet drinks however, I think you would love this mix. It's so convenient with the little pouches you can take with you to the office or on the road. We always had Lipton tea in my house growing up. My mom made it for my dad's lunch bucket. 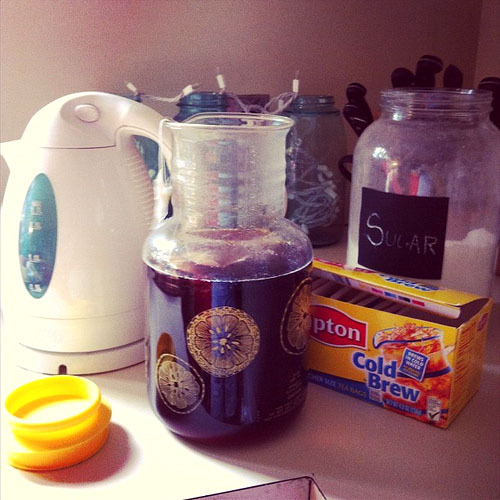 My go to Lipton product is the Lipton Cold Brew. I love the giant bags... it only takes two for a carafe of tea. If I want iced tea fast, I follow the directions. If I want the tea a little stronger I use hot water from my electric kettle. Add some simple syrup and mmmm sweet tea for summer!